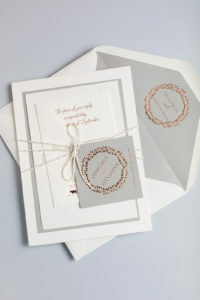 Sarah’s customized “Hopeless Romantic” wedding invitations were SO-MUCH-FUN! 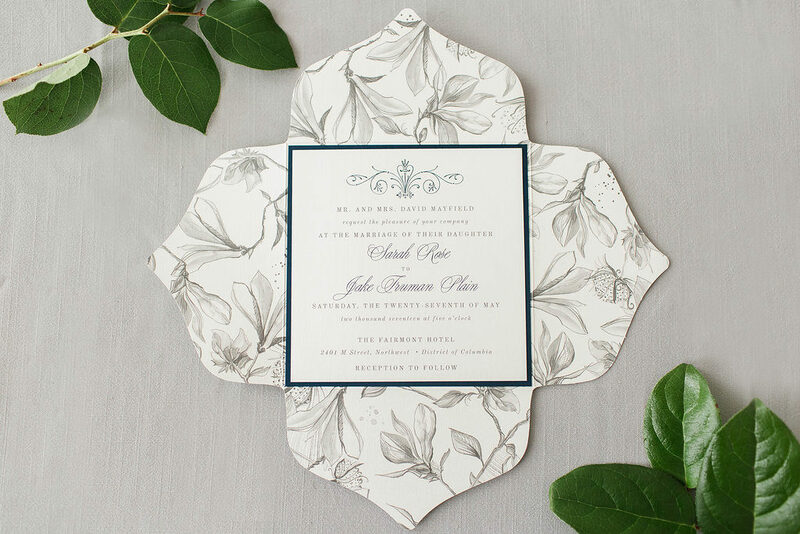 I love the magnolia pattern she chose for the enclosure around a square design by Envelopments. 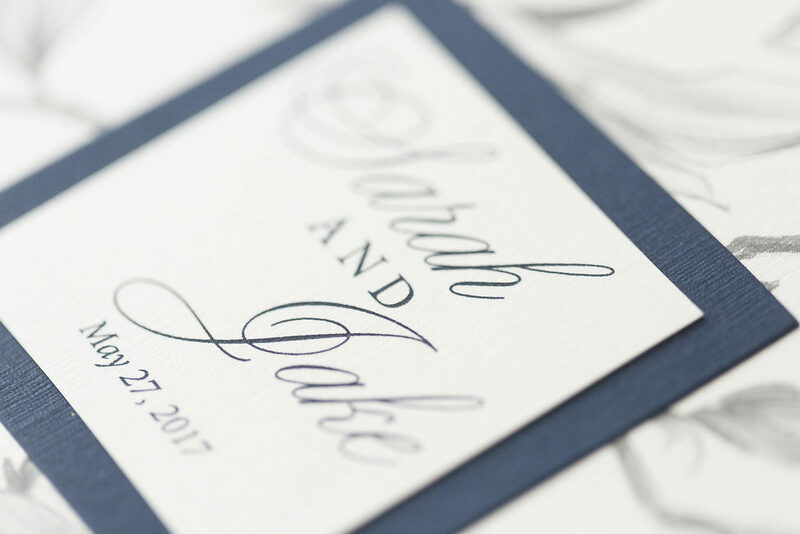 Accented with a navy blue matt, this invitation is a knock-out! 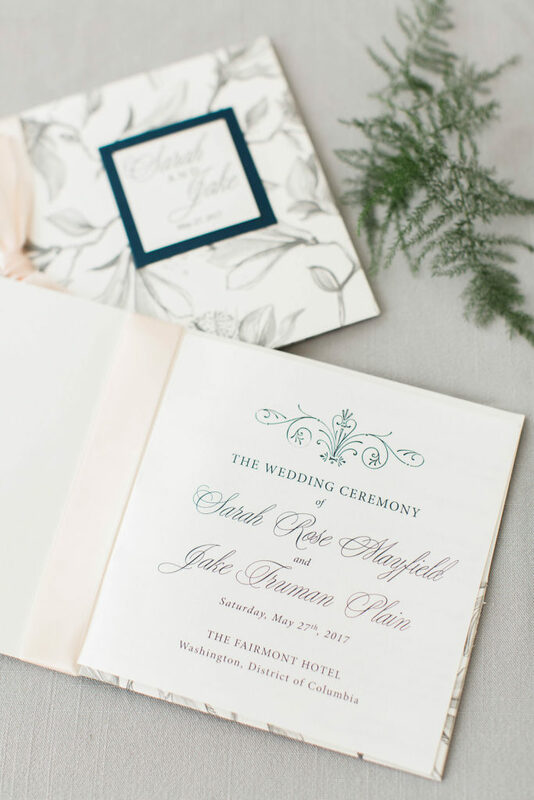 We created custom menus to coordinate with her theme that included guests’ names being printed directly on them so that they acted as place cards. 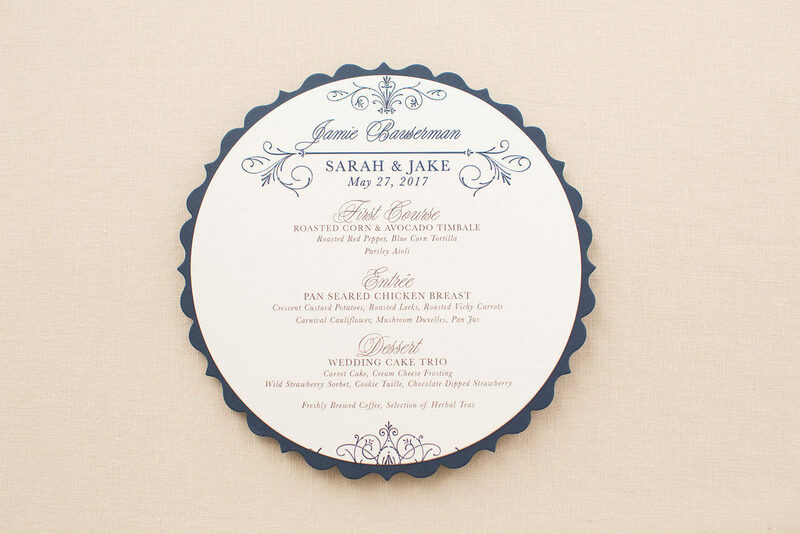 Layering circles onto a a pretty scallop gave them a beautiful pop! When Sarah mentioned the idea of a place for a tissue in her ceremony program, I knew a cute little pocket was just the way to go. It’s not pictured here, but the back cover had a pocket on the inside and the program included the note of, “A tissue for your tears of joy.” She said it was a hit! 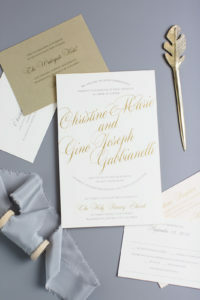 There are not enough amazing things to say about Kelly, and her stationery services!! 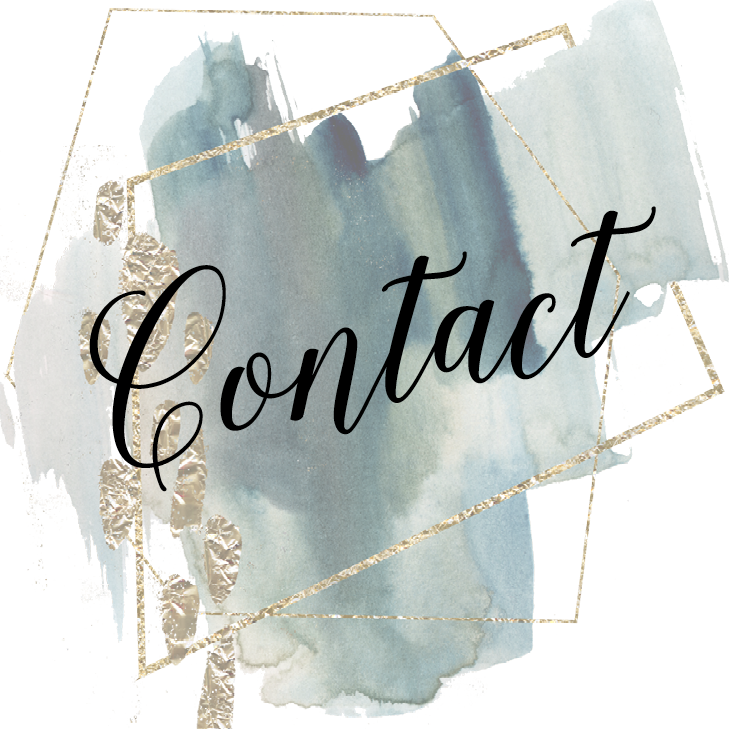 Kelly is beyond friendly, extremely detail oriented, and has phenomenal creative ideas!! 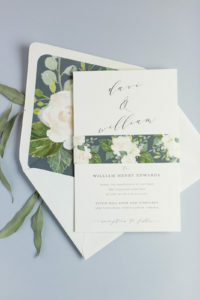 We walked into Kelly’s studio not sure if custom designed invitations fit in our budget, and from the moment we arrived Kelly made sure it was possible; and our invitations were AMAZING. She instantly felt like my friend, and that my wedding was as big of a priority to her as it was to me. 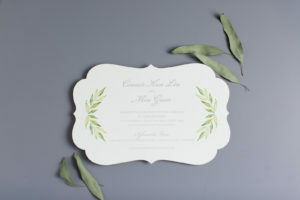 She took every idea I had and made it better than what I envisioned, and we received so many compliments on our invitations, menus, and programs.